Heads of State designed this F. Scott Fitzgerald inspired poster, capable of bringing tears of joy to English teachers and designers everywhere. 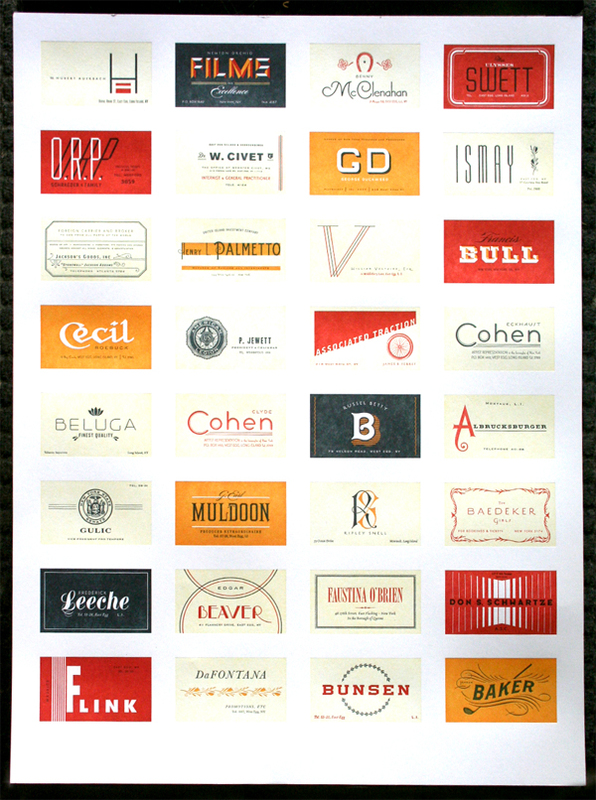 It is an epic layout project containing 32 calling cards of fictitious Great Gatsby characters. 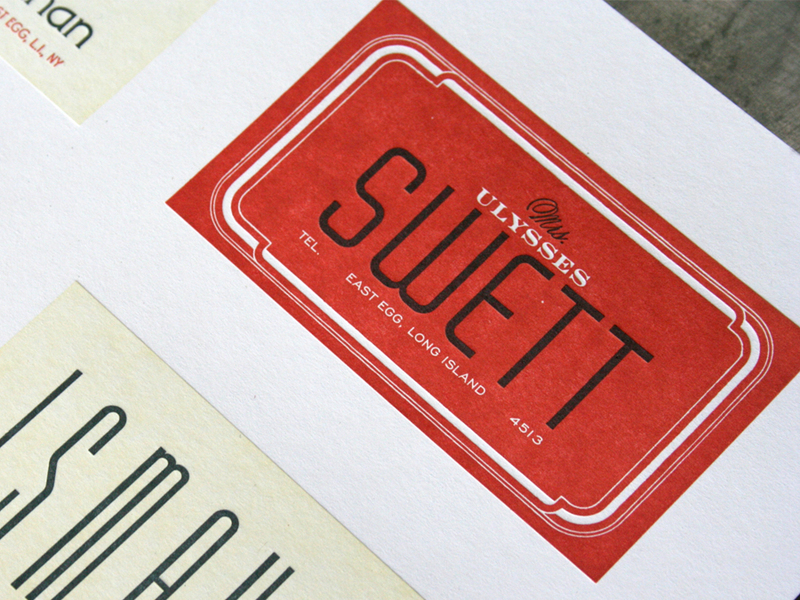 Each card is its own nugget of typographic excellence modeled after 1920's social stationery. This was an ambitious letterpress printing. (did we mention 32 card designs up on a sheet) With its large size, four ink colors, full dry back between each color, tiny type plus full solid areas, tight register and heavy stock this took some patience on press. We printed on French Poptone Sweet Tooth 140lb C - a massive 20 x 26 press sheet trimming down to the final 18 x 24 inch poster. 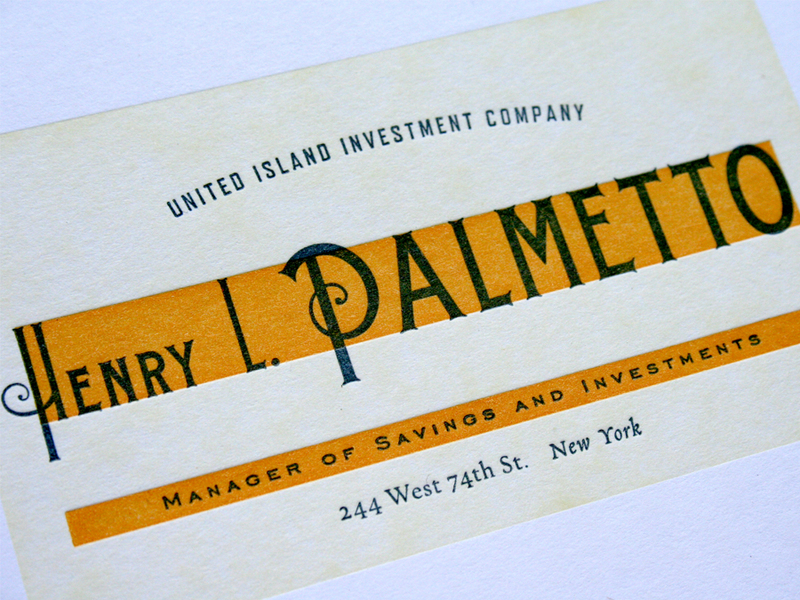 You can also check out our post on previously printed business cards for Heads of State.